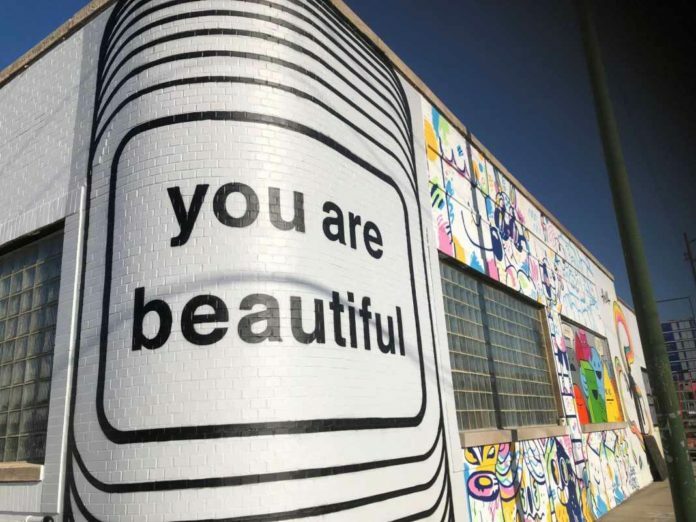 CHICAGO – Sept. 12, 2018 – PRLog — Alderman Brian Hopkins (2nd) launched a campaign to win approval for a new ordinance that would help the city protect street art while still eradicating graffiti. He is joined by prominent artists and business leaders who create, commission, and support public art in the City of Chicago, including games company Cards Against Humanity. The ordinance, which will be taken up by the City Council’s Zoning Committee for the second time Sept. 19, calls for The Department of Cultural Affairs and Special Events (DCASE) to maintain a registry of murals to help eliminate confusion among streets and sanitation crews. The voluntary registry would allow building owners to inform the city of murals they want protected. It also would create a placard for property owners to affix to the outside of their building to warn Streets and Sanitation crews that the artwork should be protected. It has been revised to address concerns of Ald. Ray Lopez (15th) and James Cappelman (26th). The ordinance comes after city-employed ‘graffiti blasters’ destroyed two valuable pieces of public artwork in the span of a few months. In August, a JC Rivera mural paid for by taxpayers at the Paulina Brown Line CTA station was blasted away after a 311 caller reported it as graffiti. And in March, ahead of a visit from Amazon officials in town to evaluate proposed locations for the company’s second headquarters, blasters removed a piece by French street artist Blek le Rat on the Cards Against Humanity headquarters building. The building is located near Lincoln Yards, the sprawling former North Side home of Finkl Steel, which was being shown to Amazon. In response to the loss of the Blek mural, Cards Against Humanity co-creator Max Temkin and Tanner Woodford, founder of the Design Museum of Chicago, convened meetings among Hopkins and artists to forge a solution. Cards Against Humanity has also partnered with the Design Museum and Threadless to commission new murals on Cards’ headquarters by notable street artists, including Tara McPherson (http://www.taramcpherson.com/). The building was the site of Wednesday’s press conference. Following Wednesday’s remarks Temkin invited participants to help him create a mural depicting a Streets and Sanitation worker spray painting the building. Public artwork across Chicago is often destroyed by city-licensed graffiti removal crews, who power wash or paint over murals, despite existing laws that require them to first consult building owners. Though the goal is to remove gang signs and tags, murals of explicit and implicit value are often erased instead. This problem is pervasive and not limited to the two recent instances. An early Hebru Brantley “Flyboy” mural in Wicker Park was painted over by the city’s graffiti blasters, washing away a decade-old piece of the artist’s legacy. Artists include Tara McPherson, Matthew Hoffman, Afrokilla, Greve, Sarah Gardner, Blake Jones, Steve Seeley, Shawnimals, (Sub)urban Warrior, Temkin, and Woodford. Blek is one of the most prolific stencil-graffiti artists in the world and has been painting for more than 30 years. This mural was one of only two he made on a recent trip to Chicago. Formerly Chicago Design Museum, Design Museum of Chicago was founded in 2012 with a mission to strengthen design culture and build community. Through education, experiences, exhibitions and outreach, ChiDM works to foster critical conversations and position Chicago’s rich design history and dynamic creative networks within an ongoing, global context, celebrating both the city’s individualism and its role in an interdependent, international discipline. The museum is located on the third floor of Block Thirty Seven, 108 N. State St. in downtown Chicago. For more information please visit https://www.chidm.com Founding sponsors of Design Museum of Chicago include Cards Against Humanity, Block Thirty Seven, Leo Burnett, 50,000feet and Simple Truth. Cards Against Humanity is an independent card game that was initially funded on Kickstarter. It is only available online directly from the game’s creators, and is currently the top-selling, top-rated, and most-wished-for toy on Amazon.com. The entire game is also available as a free download at CardsAgainstHumanity.com. Next articlePR : Un succès sans précédent !